Long durational performance and installation Let Liminal Loose in collaboration with Sandra Johnston (2014). Alastair MacLennan & Sandra Johnston, Let Liminal Loose. Venice International Performance Art Week (2014). Photographs by Monika Sobczak. Born 1943 in Scotland. Lives and works in Belfast. 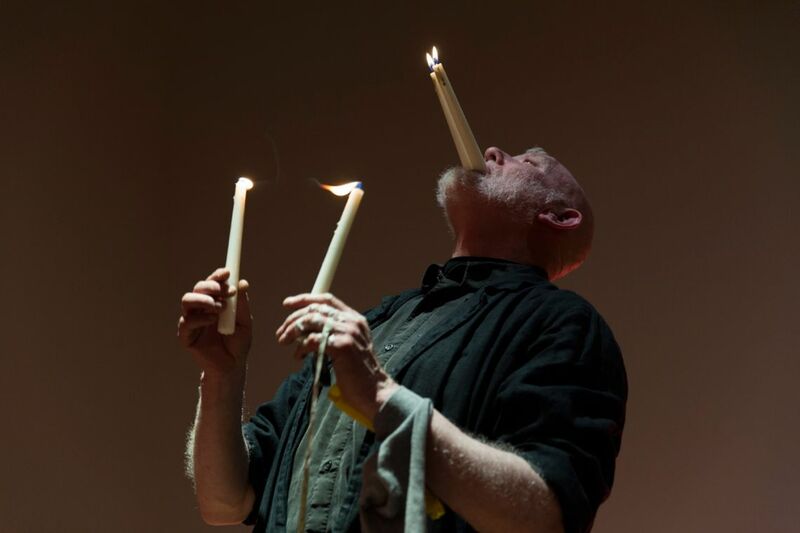 Alastair MacLennan, one of Britain's major practitioners in live art, is Emeritus Professor in Fine Art at the School of Art and Design, University of Ulster in Belfast. Since 1975 he has been based in Belfast and was a founder member of Belfast's Art and Research Exchange. He is also a member of the European Performance Group Black Market International. 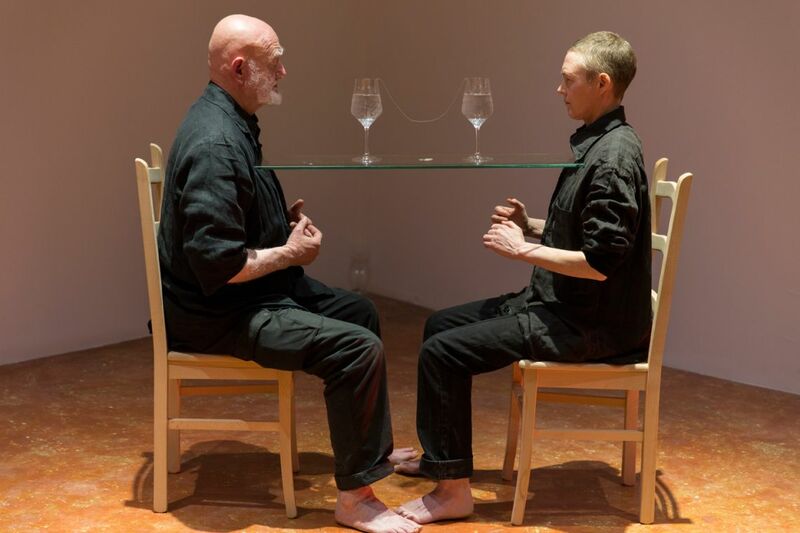 During the 1970s and 1980s he made long durational performances in Britain and America, of up to 144 hours each, non-stop, usually neither eating nor sleeping throughout. Subject matter dealt with political, social and cultural malfunction. He currently travels extensively in Eastern and Western Europe, also America and Canada, presenting “Actuations”, term he uses for performance/installations. At the VENICE INTERNATIONAL PERFORMANCE ART WEEK 2014, MacLennan collaborates with Sandra Johnston for the long durational performance and installation Let Liminal Loose. MacLennan and Johnston have been developing collaborative actions together since 2009. These duets occur only occasionally, but, with great care and openness apparent in the relationship between both artists, sustained by a shared desire to keep each situation direct and without contrivance. The collaboration is a subtle method for both to reappraise their working methods, whilst producing unique situations of connectivity and experimentation. Alastair MacLennan, Let Liminal Loose. Venice International Performance Art Week (2014). Photograph by Monika Sobczak.